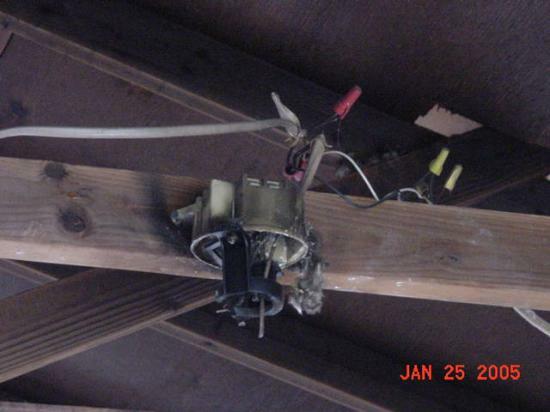 Revisited a house fire and noticed this condition in the location of a ceiling fan j-box. 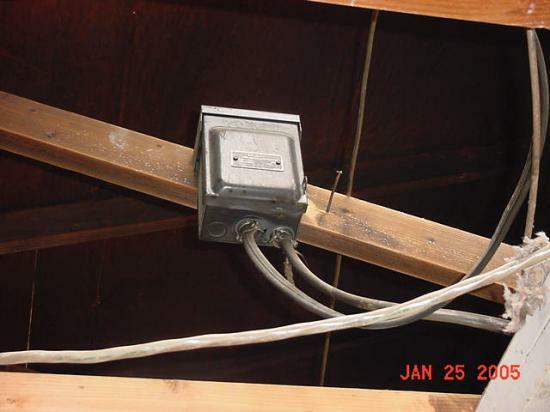 Do you suppose those wires jumped out of the box to escape the fire? also noticed this disconnect up in the attic area, but couldn't find any attic access in the vicinity. It apparently goes up through the roof and served the air conditioning unit. Can't help but wonder when and why the owner or occupant made the alterations. Looks like a ceiling fan was on that nail-on PVC box too. Nice. Is that what is meant by well-trained wiring? To escape by leaving the j-box? Was the fire started by electrical fault? 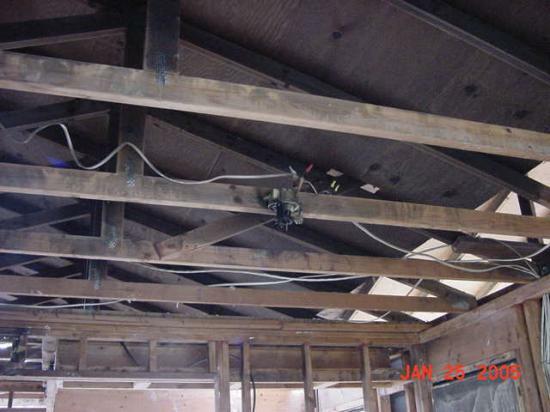 Did this bulding have a ceiling before the fire?. Reason I ask that is because the ceiling runners look much too clean, ie: no plaster or nails/nail-holes in them.